IPwn didn't make one yesterday, so I'll do it. In the first pic he's holding it in and in the second pic he's letting it out. His back is turned to the offensive linemen in the second picture? He's wearing Reebok pants in the first one! Thanks for making this. I've been slacking...and dealing with stuff this week. He went from Chenne to Roger Clemens from the first to second. First pic is Ricky Stanzi and second pic is Ben Roethlisberger. 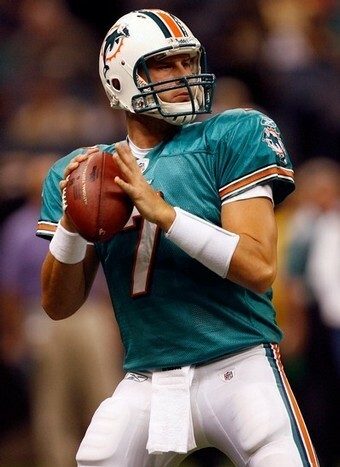 First one is Graham Harrell. 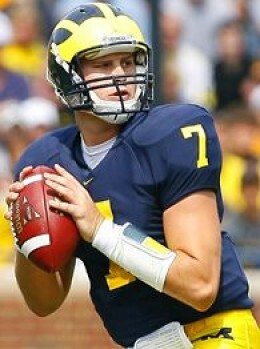 Can we swap Michigan QBs with the Patriots? Don't insult Chad like that!